The results are in! The Classics Club Spin number is 20, which means I'll be reading Middlemarch by George Eliot. 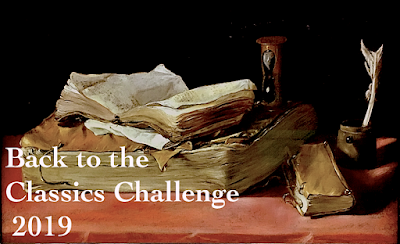 Middlemarch is one of five books added to my original Classics Club list as a personal bonus challenge. All five are "books in progress"... neglected for so long that a fresh start is a necessity. I started reading Middlemarch six or seven years ago with an online reading group and fell behind schedule. My bookmark is somewhere around page 300, but I'll definitely move it back to the beginning. I'm excited, but also a little intimidated. Have you read Middlemarch? What was number 20 on your list? Yay!! I think that when I started it, I thought of it as something I should read, and by the time I was done, I loved it. Reading My Life in Middlemarch is making me want to read it again! I haven't read Middlemarch but it is on my reading list. Happy reading. Oh, I love Middlemarch! Very rewarding. It's on my short list of "books I'm likely to re-read someday". 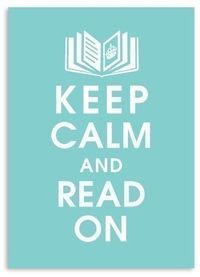 I would, but I'm deep in Tournament of Books reading at the moment, and David Copperfield too. Sigh. It's slow to get into but then it picks up. I adored, loved and want to read it again. My thoughts exactly! The first 100 pages were a little slow for me but then it got really good and I could hardly put it down. I'd love to reread it again someday. Pam and Karen K. - Thanks for the encouragement. I'm sure I'll have better luck this time! I tried it once a few years ago, but I didn't get too far with it. I've tried some of Eliot's other books since then, and I was thinking I'd try Adam Bede next. I feel like I'm working my way back up to Middlemarch! Lisa - I read Silas Marner years ago and wasn't impressed. Hope you enjoy it more this time around. I hope to reread it later this year as my end-to-end Eliot project. Dorothea Brooke is one of my all-time favorite heroines, and Mary Garth is a gem. JaneGS - I was enjoying it before, but lost motivation when I got so far behind the group. Remember putting the book aside to get a head start on the next one...had good intentions of returning to it soon. I'm certain it will be better this time! I did the same thing! I read about 300 pages and then abandoned it - I could kick myself. It's sheer size intimidates me! Stacy - I can relate to that!! I've long wanted to read this one, but just don't have the time to get to it. So, I'm eager to read your write-ups. Arti - I will include updates in my Sunday Salon posts. I hope to get started by the end of next week. I love Middlemarch but it does need time - at it's defintely a book that rewards slow, careful reading. I have Rumer Godden's 'Black Narcussus' which is considerable shorter. Jane - I got a very short book last time(Cheerful Weather for the Wedding) and was actually hoping for a chunkster this round ...they are perfect for winter. Hope you enjoy your spin book! I got Trollope for my spin pick -- He Knew He Was Right. It is a whopper, 864 pages in the Penguin edition. I'd better get to work -- that's going to take me awhile! But Trollope is always worth it. Karen K. - It's been too long since I last read Trollope! He's definitely well worth the time- enjoy! Great timing,with all the buzz around My Life in Middlemarch and what not. I read it in December and it wasn't as tough as I'd bargained for. It's long but it's also so well written, you can cruise through it pretty easily. Reading-in-bed - That's great to hear. I can't wait to get started! I read Middlemarch during my final semester in college for a History of the English Novel course, which was taught by a wonderful older professor whom I came to adore because of her accessible scholarship and warm personality. I was very depressed that semester as well, and I remember I clung to the books in that course for dear life. 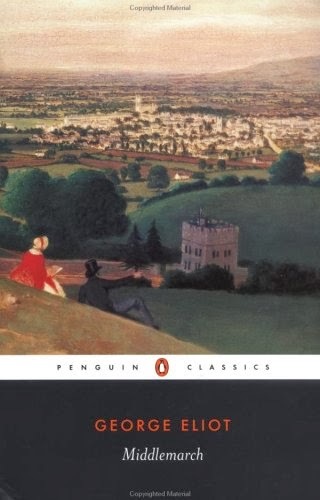 I loved every single book, and I adored Middlemarch, and I must say I also loved Eliot's The Mill on the Floss, which we read right before Middlemarch. We read so many books. How did we do it? Anyway, I was right there in the action of Middlemarch every minute. Judith - Thanks for sharing your experience with Middlemarch...this is a special book for so many! I'm finishing up a couple of books and plan to get started later next week. Oh dear, I am on page 200 of Middlemarch. I hope it doesn't take me seven years to finish. It's a beautiful book but definitely give yourself some time with it! I can't remember how long it took me but it was a while (pre-babes). My pick is The Tempest. It's been about 10 years since I've read Shakespeare so I'm a bit nervous! Trish - I think I'll need to forget about the deadline with this and just try and enjoy it. Shakespeare scares the heck out of me! Good luck with Middlemarch - it's on my tbr. Maybe try audio? I do like audiobooking the books that intimidate me. Care - I just downloaded the audio version narrated by Juliet Stevenson... will make this a read/listen combo. You hit the motherload! I really want to try to read this book this year. I haven't read Middlemarch but want to someday. 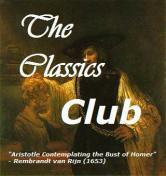 I also need to go take a look at my Classics Club list and read from it. I have been SO negligent! Terri B. - I've neglected my list for the past several months and am hoping MIddlemarch is the beginning of a new classics streak. O - Thats what I keep reading, but that scare me a little. Hope you like Frenchman's Creek... it's on my wish list, too. Middlemarch is one of the few classics I haven't read. I was supposed to read it my senior year in college, the last semester. I just couldn't do it! I will read it...hopefully this year or, if not, next. I'm actually looking forward to it. I hope you like it! Amy - I read the first two chapters last night. Think I will read this one slowly and not worry about the spin deadline.